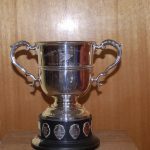 At the 9th December 1966 committee meeting the secretary read a letter from Mr S G Miller in which he offered a trophy to the club. The designation of the trophy was for it to be awarded annually to the skipper who caught the most sharks of qualifying size in a season. This was proposed by Mr. E C Were and seconded by Mr D Denne. 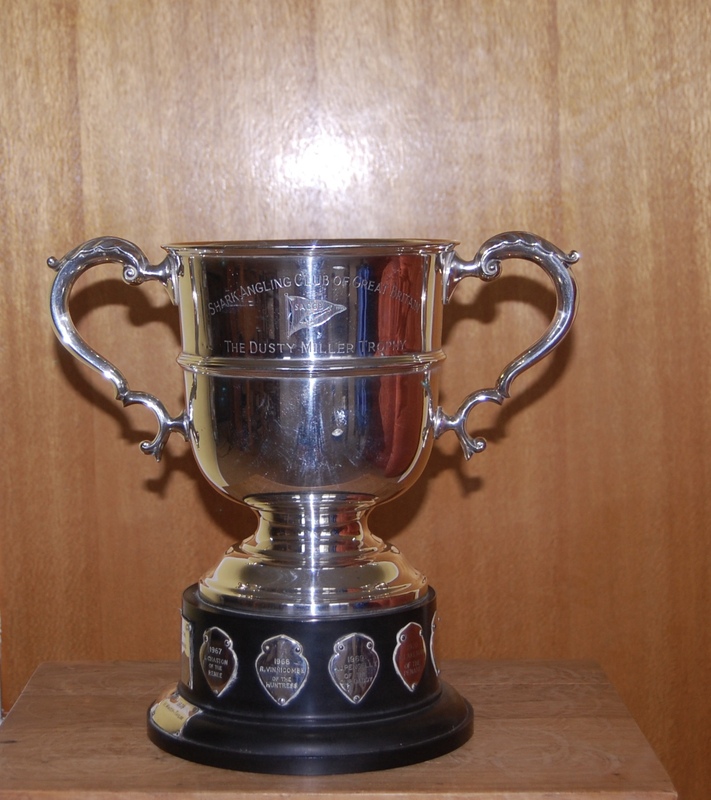 The trophy was first included in the listing in the 1967 Rule Book. At the committee meeting of 7th November 1967, it was carried unanimously that the boatmans prize (£?) should be awarded to the boatman who caught the most sharks of the season. The secretary was asked to write to Mr S G Miller to ask if was agreeable for this prize to be combined with his trophy. The following months minutes (16th December 1967) record Mr S G Millers was in agreement with this request.